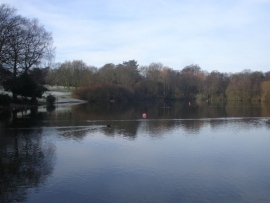 "Acton Park lake, Wrexham" by Original uploader was Spicke01 at en.wikipedia - Transferred from en.wikipedia; Transfer was stated to be made by User:Small-town hero. "ChirkCastleOverview" by Original uploader was Akke at en.wikipedia - Originally from en.wikipedia; description page is/was here. "WalesC0047" by Original uploader was Akke at en.wikipedia - Originally uploaded to en.wikipedia (all following user names refer to en.wikipedia):2005-05-14 21:40 Akke 2048×1536×8 (612902 bytes) pontcysyllte Aquaduct. "Wrecsam kingsmill" by Original uploader was Maelor at en.wikipedia - Transferred from en.wikipedia; Transfer was stated to be made by User:Small-town hero..
"Wrexhamtown" by Original uploader was Born Acorn at en.wikipedia - Transferred from en.wikipedia; Transfer was stated to be made by User:Small-town hero. 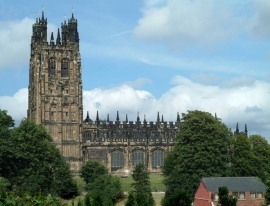 Wrexham lies between the Welsh mountains and the lower Dee Valley, across the border to Cheshire, England. 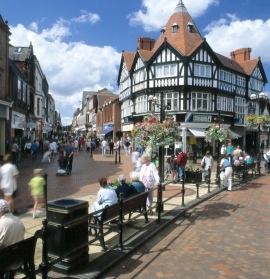 Wrexham is the largest town in the north of Wales, so it is a big commercial, administrative, retail and educational centre. 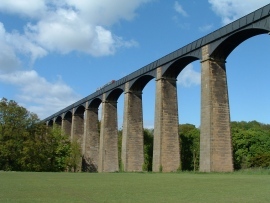 A unique opportunity to experience in Wrexham is a trip along the Pontcysyllte Aqueduct. For those scared of heights it may be a taste of your courage, as there is only a thin wall of riveted sheet steel panels holding the water in the canal and preventing you and the boat from crashing to oblivion. However, if you are not scared of heights, you can lean out and peer down to take a good look at the steel masterpiece. After the single lane aqueduct, you enter the main canal system and enjoy the (sometimes bumpy!) ride. 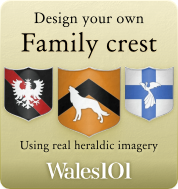 As well as the impressive architecture, the scenery of the Welsh Valleys is also noteworthy. Erddig is a National Trust historic site, housing formal gardens as well as one of the largest brick houses to be constructed in the 18th century. The tours give a great sense of what it was like to live in the house, what the family were like and what life was like with them. Another aspect focused on is what life was like for the staff in the house, the Erddig family treated them exceptionally well for the times. 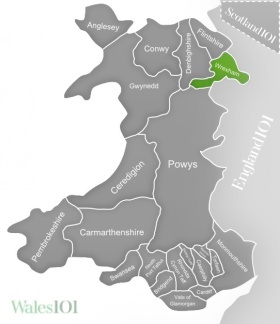 Alyn Waters Country Park boasts beautiful wide-open spaces in the middle of a big town. The surroundings include woodland, grassed areas, signposted walking trails and local wildlife. The paths take you past mini waterfalls, rapids and along the river; and as a bonus each trail tells you how many calories you burn while walking it! St Giles Church is a lovely local church, with impressive architecture and stained glass windows. Whether you want to attend a traditional Sunday ceremony or want to have a nose around a traditional Welsh church, it is open to all. The stewards are very informed about the history of the church, and happy to share stories and point out the famous carved devil. 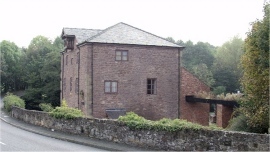 William Aston Hall offers a programme of classical music concerts, comedy sketches and pantomimes. It perfectly shows off traditional UK culture with the shows, and a great place to stop by if you’re not from overseas. Pantomimes might be an acquired taste, but it is a great way to immerse yourself in local culture and tradition.